Look, I’m trying to post at least something. One of the things I love about Bologna are the wonderful street intersections where you find beautiful windows and portici arches and colors all combined in one view. This was one that caught my eye on a recent walk around town. 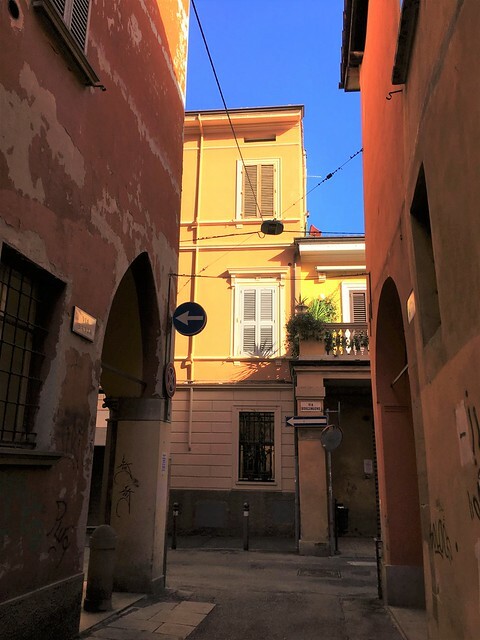 You’ve got the warm colors of Bologna, the pointed and curved arches of the portici and the pretty shutters on the windows, not to mention the beautiful blue sky.